Lola – Diaper Bag: Need extra space to tote baby’s things? 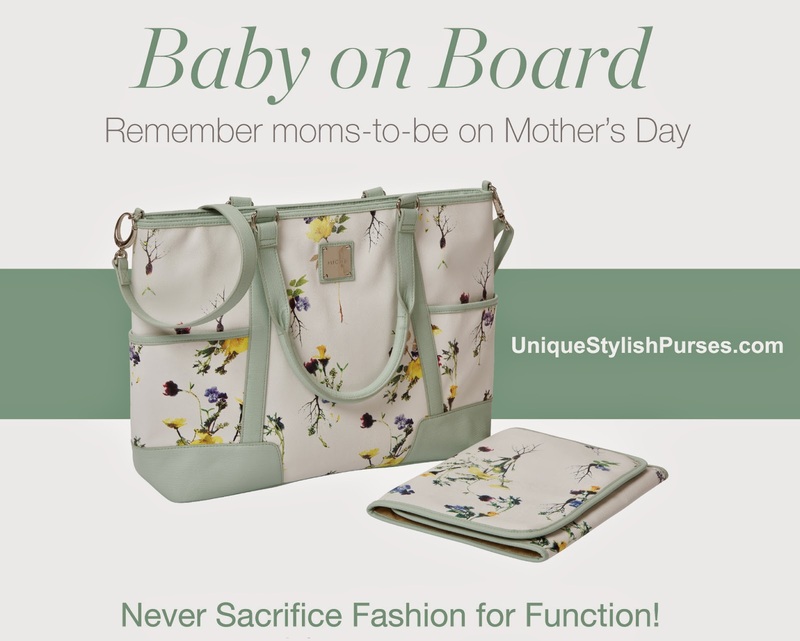 The roomy Lola Diaper Bag is proof that you never have to sacrifice fashion for function! A custom wildflower print in shades of purple, red, green and yellow dances against a snowy-white faux leather background. Mint trim, side pockets and a large slip pocket bring the look together. Storage is what Lola is all about, water-resistant tan interior features large zippered pocket and five (5) additional open pockets. Comes with matching changing pad, short handles and long strap too! Bag is completely self-contained, it is not interchangeable like our traditional bags. Dimensions: 15 ¾” x 12 ½”, with a 5” gusset; short handles: 20” x 1”, with a 9” drop; Strap: Adjusts to 53” long x 1”, with a 25 ¾” drop. Changing pad is 25” x 12”.